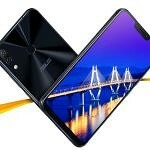 The Asus ZenFone 5Z is Asus’ current flagship smartphone. It was announced at Mobile World Congress, and it went on sale in a few markets last month. Last week, the company launched the phone in India starting at a competitive price tag of ₹29,999 ($436) for the 6GB RAM/64GB storage version. Now, the phone is getting its first major FOTA software update. The software update for the ZenFone 5Z has a software version 80.11.37.79 and is currently available as an OTA update. Gadgets 360 received the complete India changelog for the update from Asus. The changelog includes improvements in notification LED, NFC, and secure album. The camera of the phone has also been upgraded with the latest update, and Asus has enhanced the focus speed during video recording as well as the quality of video calls. The company has also fixed the occasional screen flicker problem that would arise after starting or stopping a video recording. The update comes with the June 5, 2018 security patch. Finally, other changes include improvement in OS stability as well as enhanced power management. ZenFone 5Z users can update to the latest update via OTA, as all users will get the download notification in a few days. They can also manually check for updates by going to Settings > System > System updates. As an alternative, they can download the firmware on a PC, then connect their phone with the PC via USB, copy the ZIP file to the root directory of internal storage of the phone, detach the USB cable, and then tap on the System Update File Detected notification and follow steps to update the firmware. The Asus ZenFone 5Z is now available for purchase via Flipkart. The 6GB RAM/64GB storage variant costs ₹29,999 ($436), while the 6GB RAM/128GB storage and 8GB RAM/256GB storage variants cost ₹32,999 ($480) and ₹36,999 ($538) respectively.